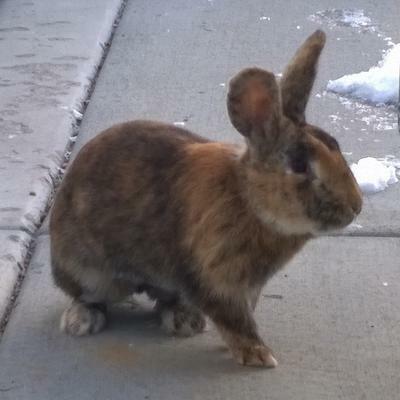 This rabbit has been hanging around the outside of my house the last few days. It is cold and snowy here, I am wondering if it is ok in the cold? I know nothing about rabbits. What is the best I can do please? Comments for What type of rabbit is this?